Lumira Discovery comes with improved session handling with respect to BI platform. 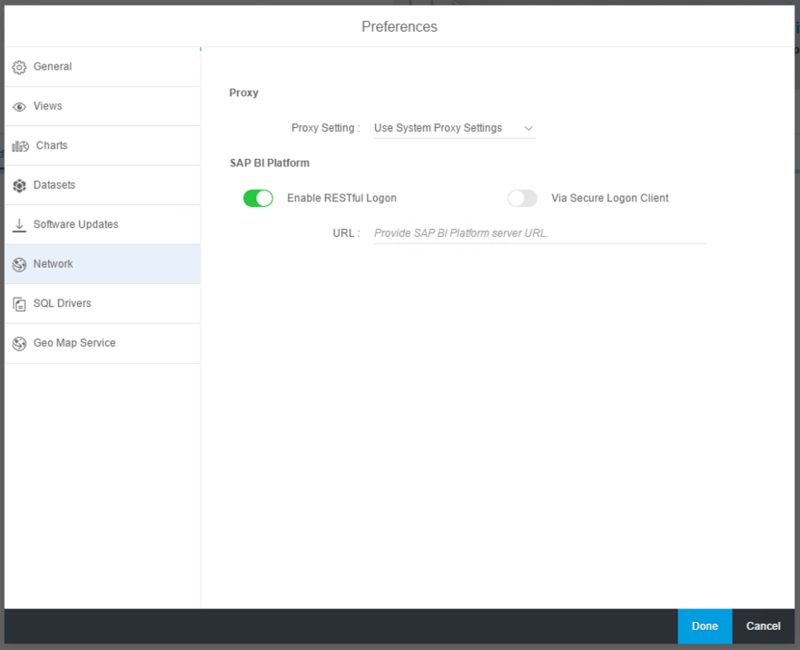 Each time you launch Lumira Discovery, it would require you to establish a fresh connection with BI platform. Discovery connects to BI platform for multiple workflows like a listing of documents, saving to BI platform, listing and connecting to managed connection and universes etc. Any interaction would require you to provide in your BI credentials, and on successful authentication, it will create a session for the user. Now, Lumira 1.x requires a business user to authenticate each time he/she initiates a workflow with BI platform, also after successful authentication this ends up as a new session each time. However, with Lumira 2.0 this problem stands resolved. A user needs to login to BI platform only once and the resultant session is used across workflows and across documents. You may also choose to use SSO for login to BI platform and that would make the workflow even more simple for end user. In the below image, one is for Platform CMC login and remaining One is for Lumira. We know that Lumira Discovery has two different login methods. To bring up re-usable session implementation and switch between these modes, a –D flag (that can be set in LumiraDiscovery.ini file). By setting this flag, all Data acquisition screens will always stay to work in CORBA mode only. But Home screen can work in RESTful and CORBA mode. The flag is -Dhome.page.rest.logon.enabled. Setting this flag to TRUE enabled RESTful login. Setting the flag to FALSE disables RESTful which means, CORBA mode is enabled in Home screen. So, since we know that, all data acquisition uses CORBA protocol and making the above flag to FALSE also makes it CORBA mode, we make sure that, only one login is enough to use any multiple workflows through BI Platform. If we make the above flag TRUE, since RESTful is enabled, a session for RESTful login and a session for CORBA login will be created by BI Platform. Even in this case, maximum 2 sessions only will be created to make all communication between Lumira Discovery and BI Platform. Today Lumira Discovery supports SSO login only on home/listing page and so session established via SSO login will not be re-used for Acquisition workflows. We plan to address this in upcoming releases. As Lumira Discovery 2.1 is released, the above -D flag concept is replaced by a switch in Preferences tab. This was brought to provide easy to use interface for all Discovery Users. Below is the image that shows the Switch in Preferences -> Network.